This awesome book is edited by Matt Brzycki, who is the coodinator of health fitness, strength and conditioning at Princeton University in Princeton, New Jersey. 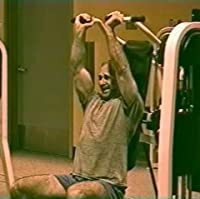 He has authored more than 175 articles that have been featured in 33 different publications and has written three books—A Practical Approach to Strength Training, Your Strength and Conditioning, and Cross Training for Fitness—and coauthored Conditioning for Basketball with Shaun Brown, the strength and conditioning coach of the Boston Celtics. TAKU’s NOTE: I own several books by Matt Brzycki, and they are excellent. 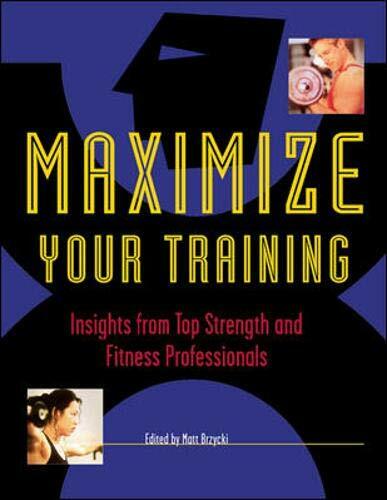 Maxmize your training should be on every Strength and Conditioning coaches top-10 book list. It is loaded with valuable information on evidence based exercise programs, and will assist those interested in how to design, implement, and update comprehensive strength programs for any goal. Although this book has been around for some time, I highly recommend that you get yourself a copy today.